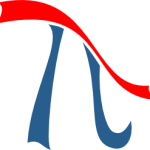 A new mass spectrum simulator comes with the current version 2.2 of Prot pi. This simulator brings some weighty benefits such as to define the ion adduct, charge state and resolution. An awesome feature is the possibility to integrate multiple compounds in one mass spectrum. This gives amongst others the opportunity to simulate multiple charge state of a compound. 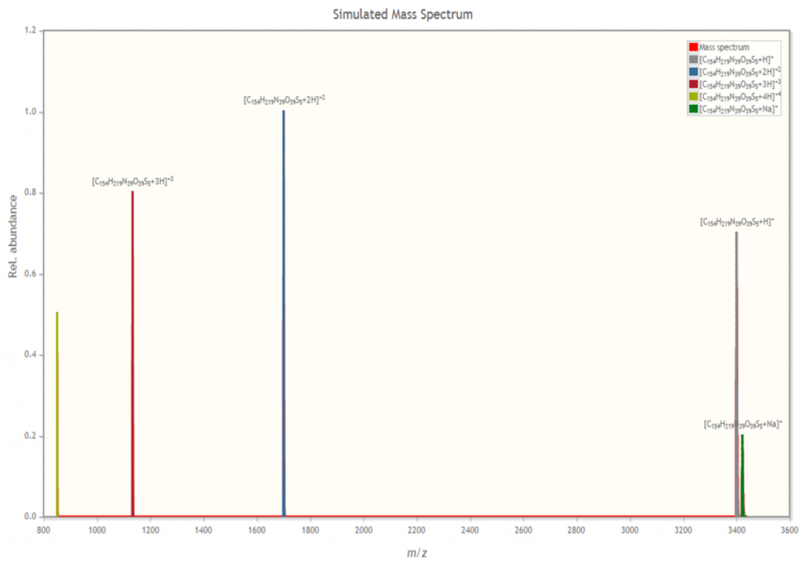 In this example the mass spectrum of a peptide with one to four proton adducts is simulated. Mass spectrum of a peptide with multiple charge states. Furthermore a sodium adduct was simulated besides the protonated ions. This is shown in a zoom of the mass spectrum. 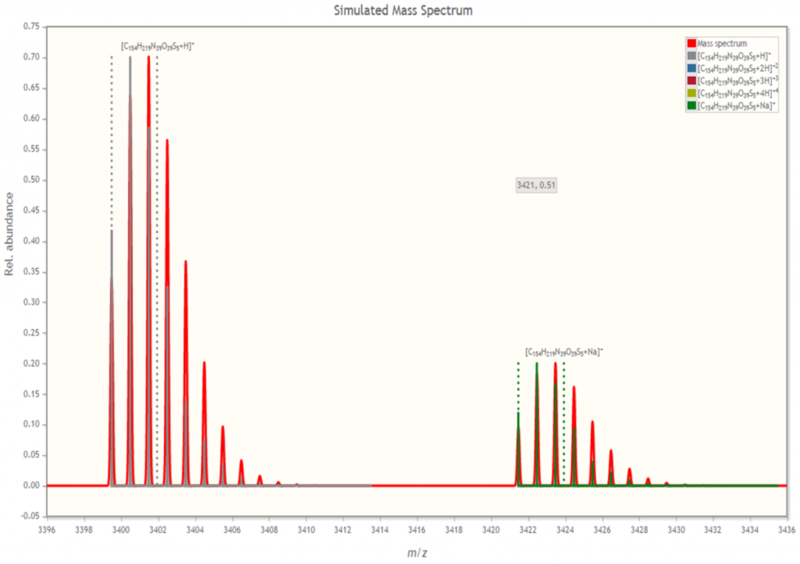 Zoomed mass spectrum with single protonated and a sodium adduct ion of the peptide. These are only a few of many features that comes with the new MassSpecTool in the current version of Prot pi.